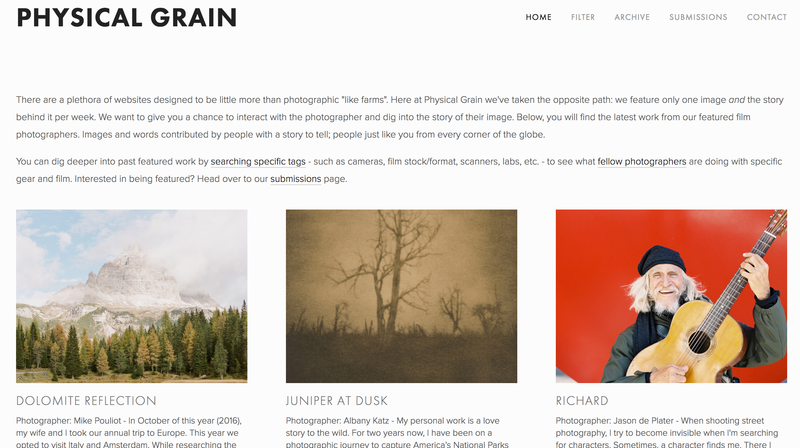 Story-based and film-centric, Physical Grain is a breath of fresh air in the crowded forest of online photography communities. While not the first project to focus on the stories behind the images, the execution and focus set Physical Grain apart. Each photographer’s own words tell the tale of their image with the focus or angle of their choosing. The brainchild of Ray Larose (also responsible for online maritime-focused travel magazine Salt), Physical Grain accepts only submissions made with traditional film, and is compiling a searchable database of hardware, techniques and labs from the technical details they collect with each submission. The Image, Deconstructed, probably the best-known site with a similar mission, focuses on photojournalism and uses an interview format to explore the thought process behind each image. “The Story Behind a Photograph” is a buried section on The Photographers’ Gallery, offers less technical detail and publishes only once per month. What elevates Physical Grain is the focus on text from the photographers. Even the name tries to evoke this by placing “physical” — in the sense of active or laboring (“The act of creating the image. The day leading up to and including the shot. Or the adventure of developing,” Ray says) — before “grain” — a nod to the chemical structures composing the finished object. The site launched with 26 stories on the Winter Solstice (Dec. 21, 2016) and immediately began to generate buzz. It will publish a further submission each week going forward and the community will, hopefully, continue to grow with positive discussion. “The purpose is to discuss the image and story, so if someone is bashing an idea, they’ll get the comment removed and a warning,” Larose says of the community aspect, which is the linchpin of his idea. Without positive interactions, the whole thing could unravel quickly. I was honored and excited to be invited to submit a photograph and story of my own for inclusion at launch. I’m humbled by the company I’m surrounded by and thrilled to be among them. 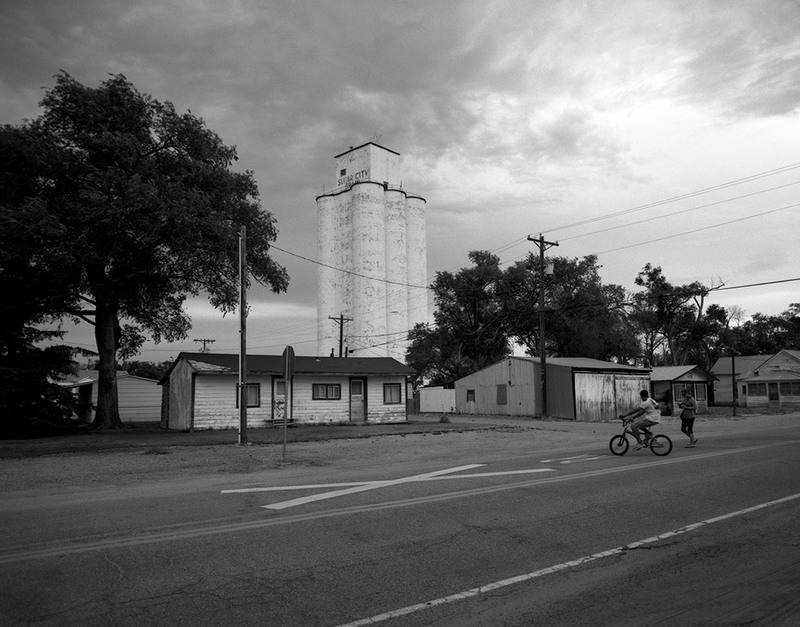 I submitted a 2015 photograph I made in southeastern Colorado, Sugar City Breakup. You’ll just have to click if you want to read what I wrote about it. Larose hasn’t finalized rules for subsequent submissions from previously-published photographers, but said he’d likely set a minimum time between publications of 90 to 180 days. As of this writing, there are already submissions enough to carry the site will into 2017, and several arrived while we chatted via Twitter. Take a moment to visit the site and read a few of the stories; I’ve read them all at least once already, and probably will again.